Back in April, I wrote a short post on the shameful silence of so-called "pro-choice" organisations (such as Marie Stopes) on the enforcement of the one-child policy in China. 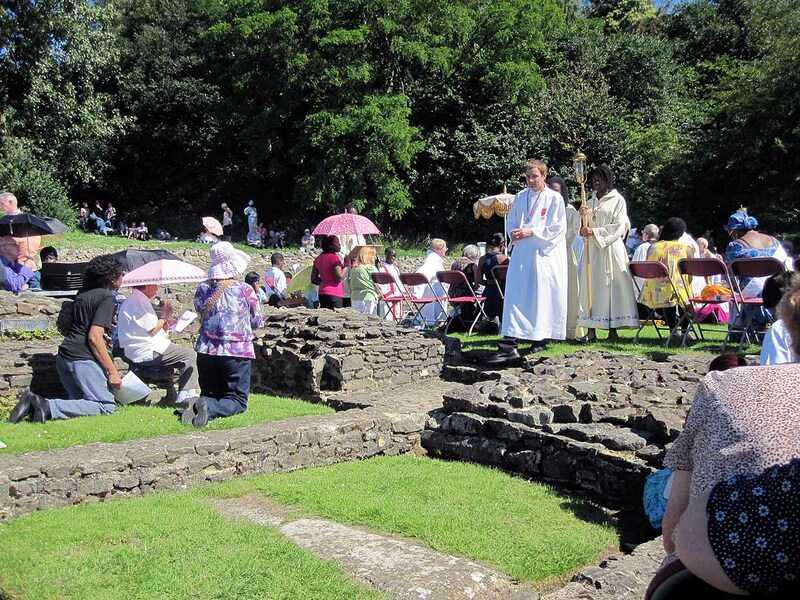 I was rather uncomfortable with the Eucharistic "Flash-mob" held in Preston. 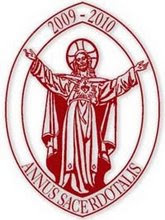 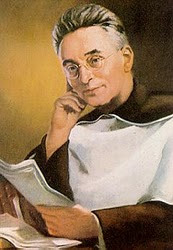 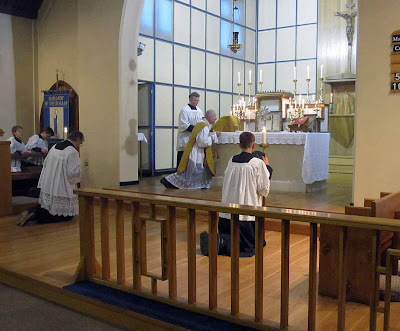 I did understand the thinking behind it, but I am firmly of the opinion that bringing Our Lord out in a hold-all is not the way to impress upon people that the Catholic Church teaches that the Blessed Sacrament really is God. 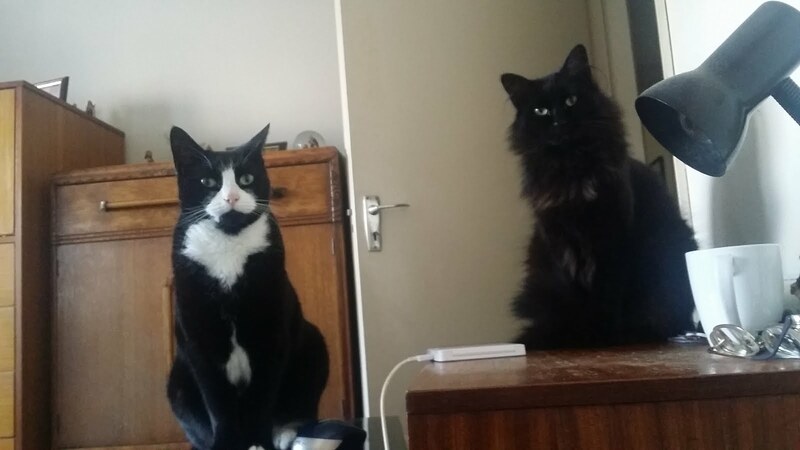 The more I think about it, the more uncomfortable it makes me. 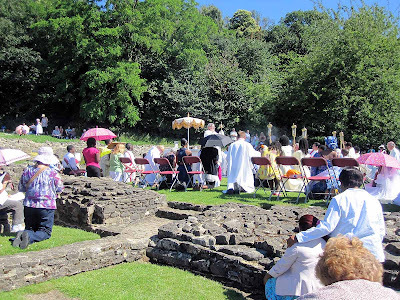 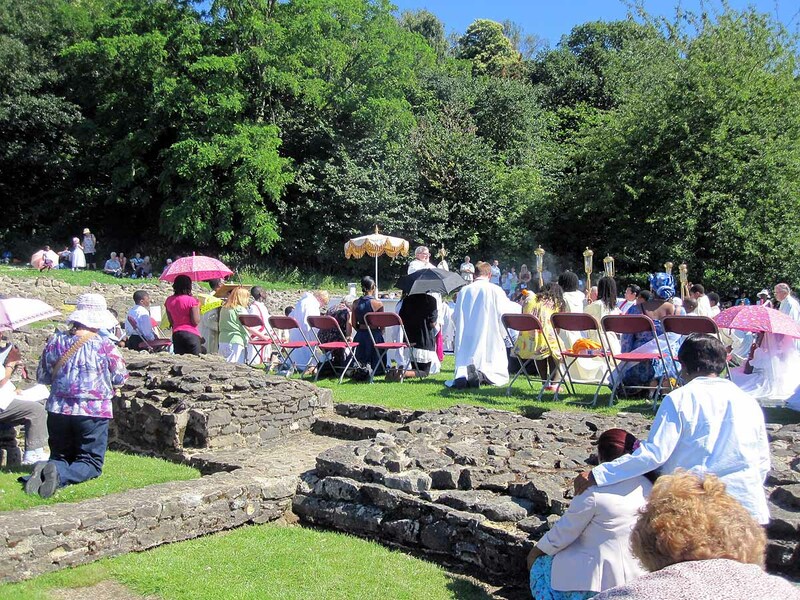 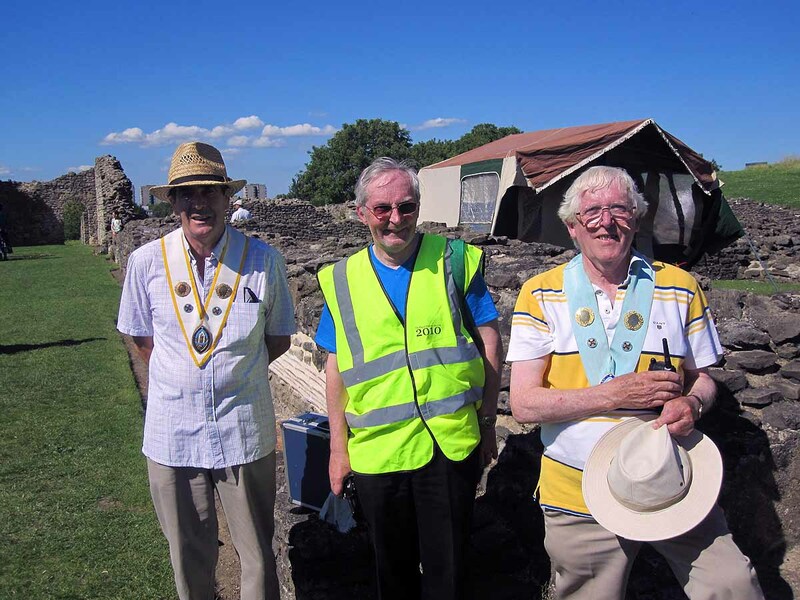 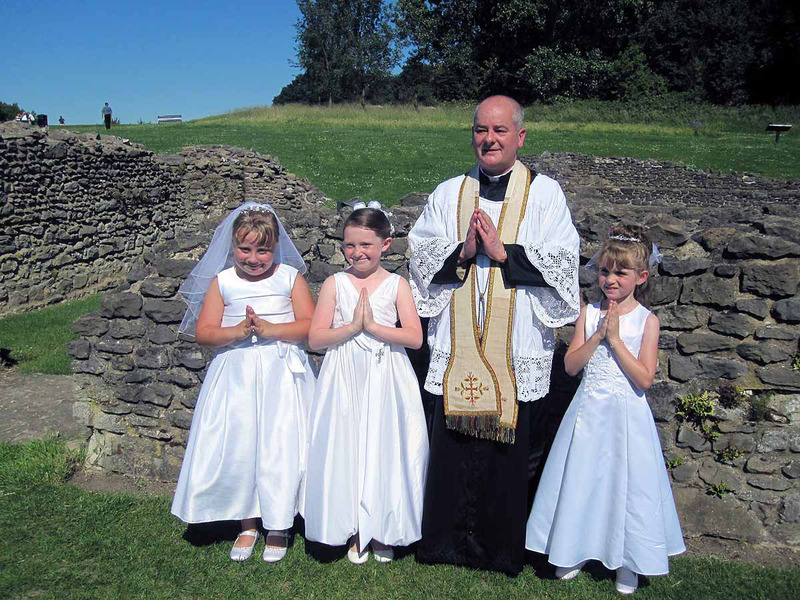 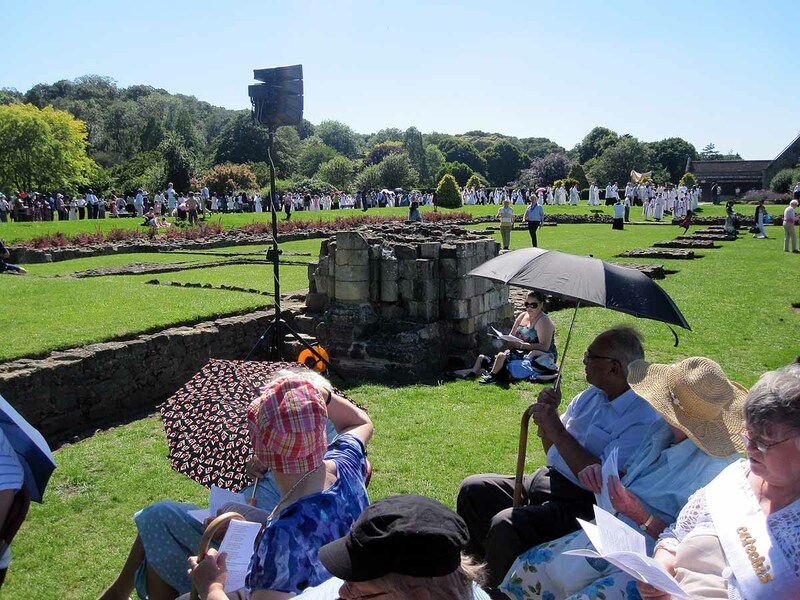 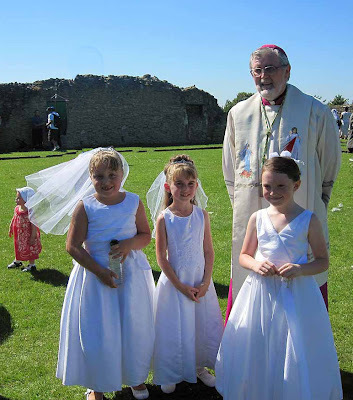 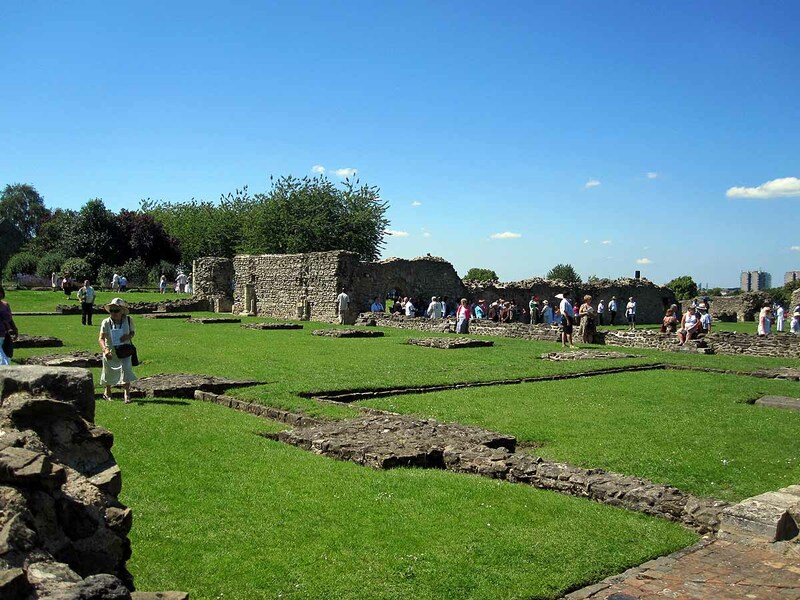 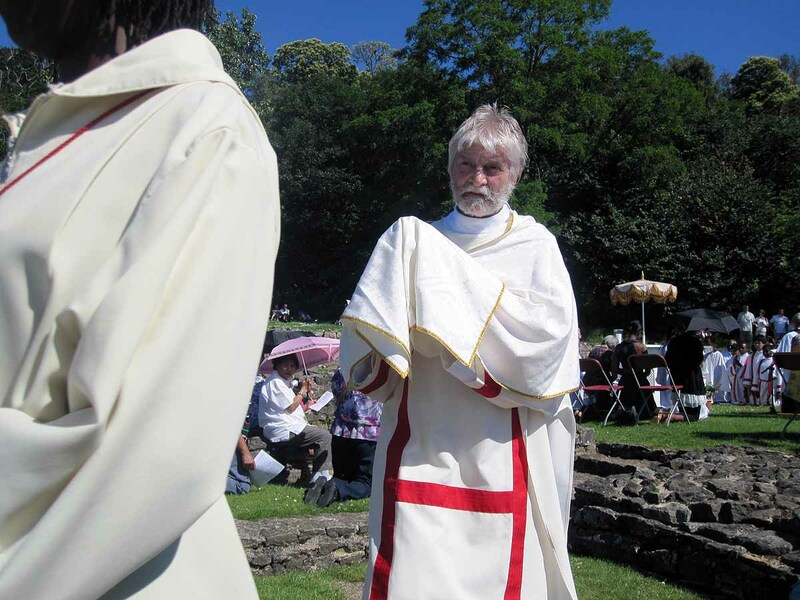 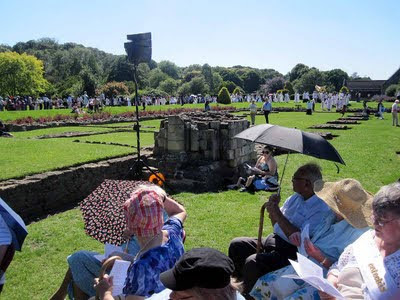 So I was delighted that, last Sunday, we had our annual Blessed Sacrament Procession at Lesnes Abbey. 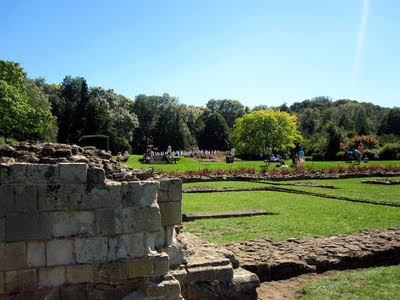 The ruins are in the middle of a park, rather than in the centre of a shopping area, but there are plenty of people who have gone to the park for a walk or a picnic, and they are left in no doubt that there is something special going on. 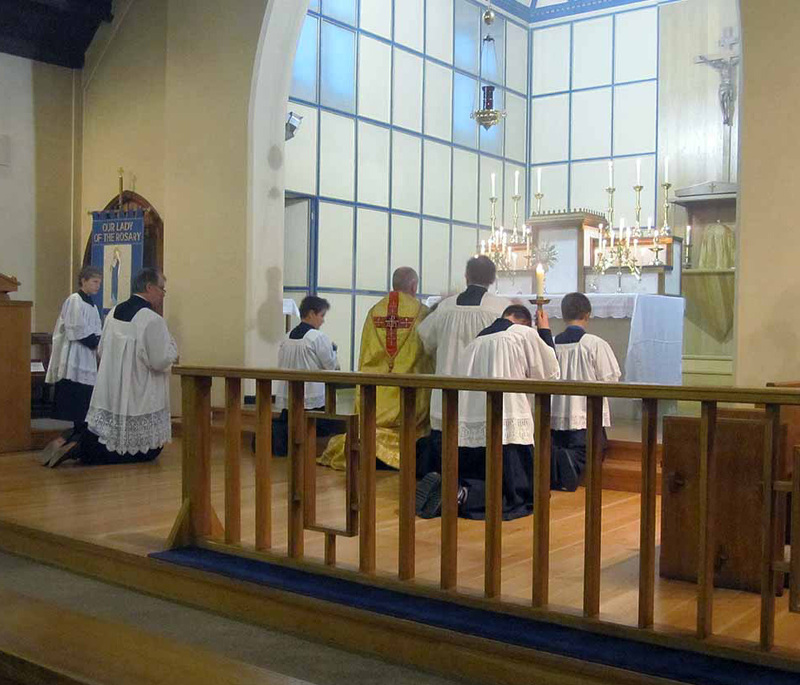 We have First Communicants, altar servers, priests, deacons... there is music, prayer, readings... and Benediction. 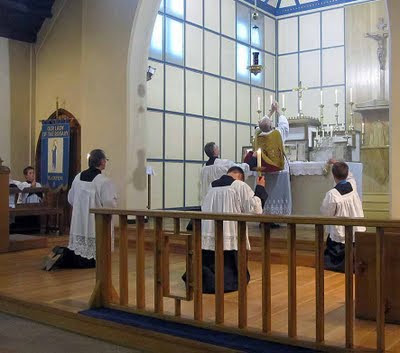 There is much I dislike about the procession - the choice of music and the number of readings being my two main beefs - but it is a reverent occasion, and it is absolutely clear that we are there to worship Our Lord, truly present in the Blessed Sacrament. 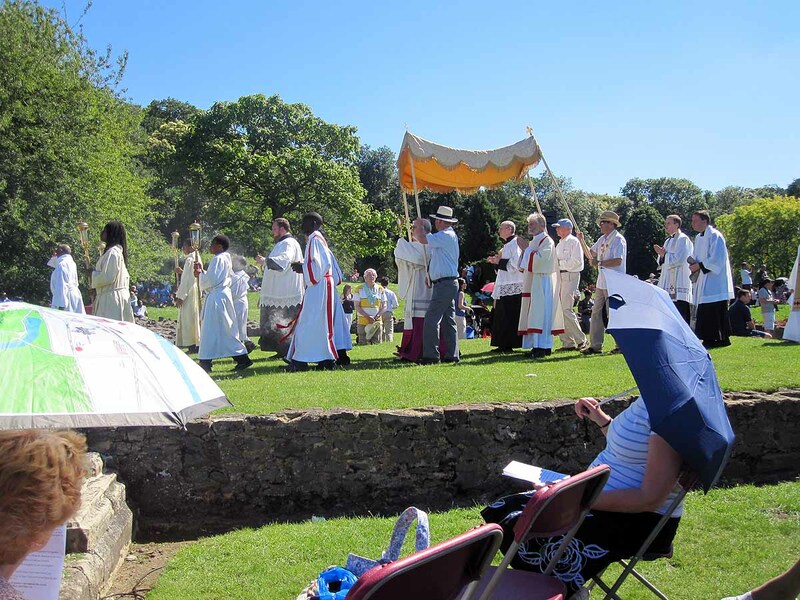 We were certainly blessed as far as the weather went... the week before had been cold, wet and windy, and even the previous day had seen quite a bit of rain. 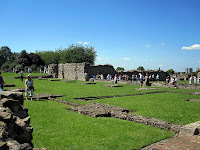 I've taken more detailed pictures of the ruins and given a little of the history in a previous post. Just a couple of photos from the Mass held on the Thursday. It was reasonably well-attended, despite the Thursday no longer being held as a Holyday of Obligation. I didn't manage to get any photos of the actual procession because I was helping with the singing, and I haven't mastered the art of manipulating Liber and camera at the same time. 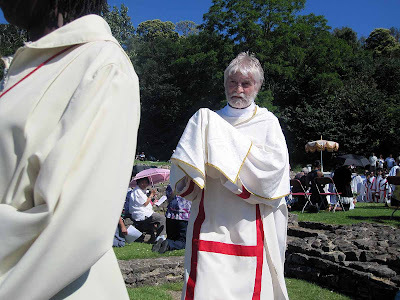 Nevertheless, I found it profoundly moving. 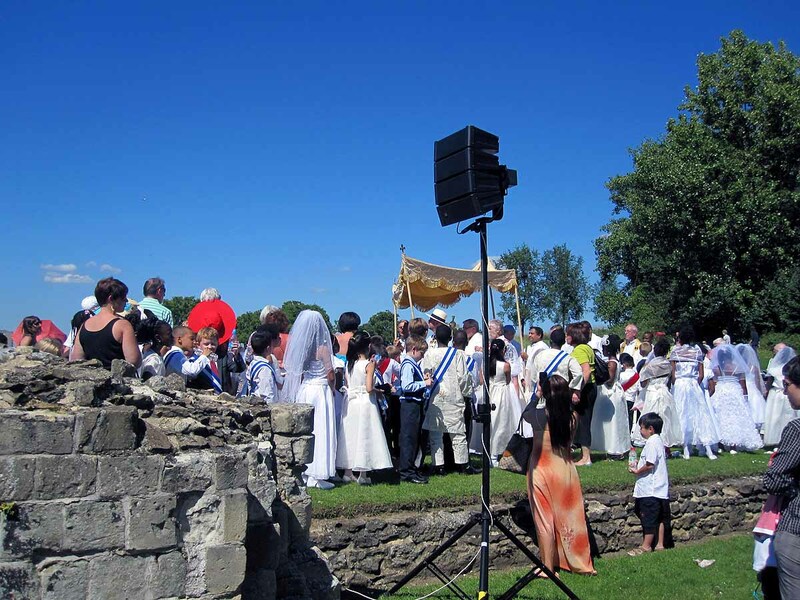 The weather was a little uncertain, so we only processed around the church. Maybe next year we can have an outdoor procession. 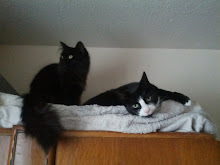 Before you protest that I frequently seem to say I'll stop blogging in a passive-aggressive attempt to elicit sympathy, I'd just like to make it clear that this isn't an attempt to gain sympathy and I am not going to stop blogging. 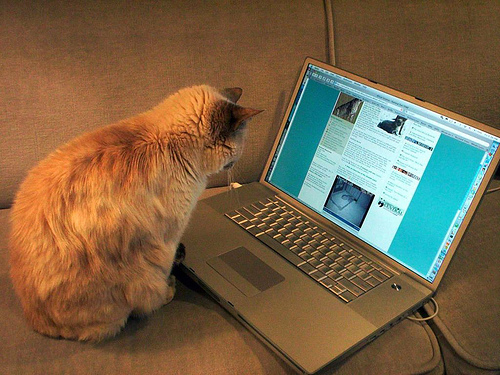 Seriously, I just ran out of blogging steam. 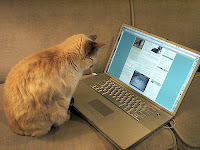 ** Boxes of chocolates (real, not virtual) are an acceptable substitute for comments (real and virtual).